A feature-complete city electric bike with approachable but sturdy step-thru frame, the all-black paint scheme hides the compact motor and cables (which are mostly internally routed), only one frame size. Comes with durable but lightweight Curana alloy+plastic fenders, a premium rear rack with standard gauge tubing for compatibility with most panniers, and a triple-bungee strap for light cargo. Integrated lights and reflective tires keep you safe, the headlight has windows along both sides for increased visual footprint, the tires have K-Guard 3 puncture protection and offer comfort with higher air volume, hydraulic rim brakes are tough and powerful. 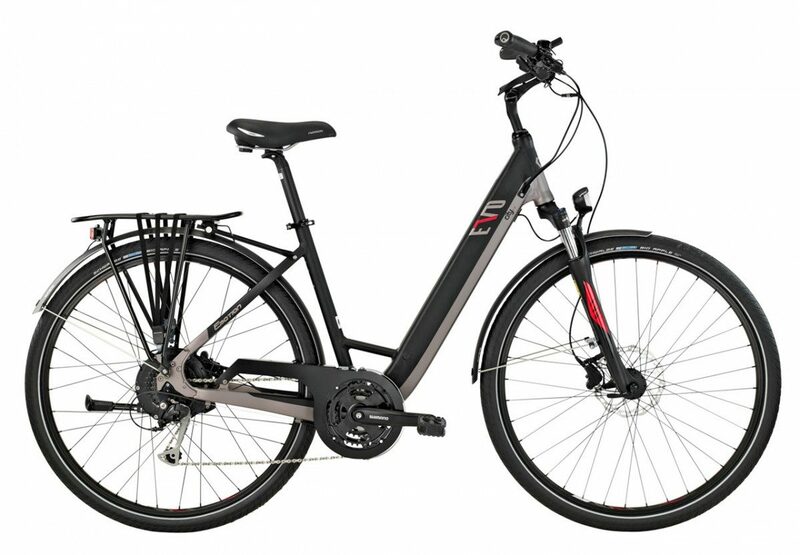 The Brose S motor feels very natural but offers more power than the older T, I like the new color LCD display because it's removable and has a USB Type A charging port, the ebike battery charger is a bit large and requires a dongle adapter to charge the battery when off of the bike frame.